The world’s first and most expensive camera! The 'Daguerreotype Giroux' from 1839. The first commercially-produced camera of the world, that will be sold at the WestLicht Photographica Auction on the 29th of May 2010 in Vienna, Austria. The estimate is 500.000 – 700.000 Euros. On May, 29th 2010 Viennese auction house WestLicht is going to sell a sensational piece of world history: a 'Daguerréotype', the first commercially produced camera! 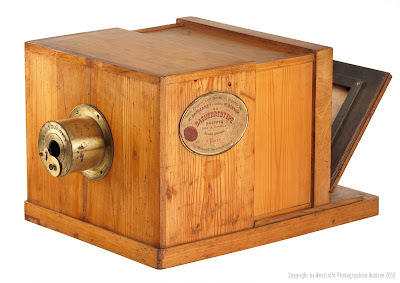 The French wooden sliding-box camera was built in September 1839 by Alphonse Giroux, the brother-in-law of Louis-Jacques-Mandé Daguerre. 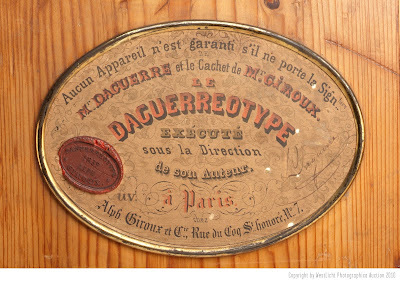 To proof it’s authenticity the camera was signed by Daguerre himself, the inventor of the first practicable photographic process. it could be. anyway... we'll see about that. the press won't be quiet.